This Scattered Leaves Quilt designed by Holly Daniels of FreePatterns, The Pattern is available for free. 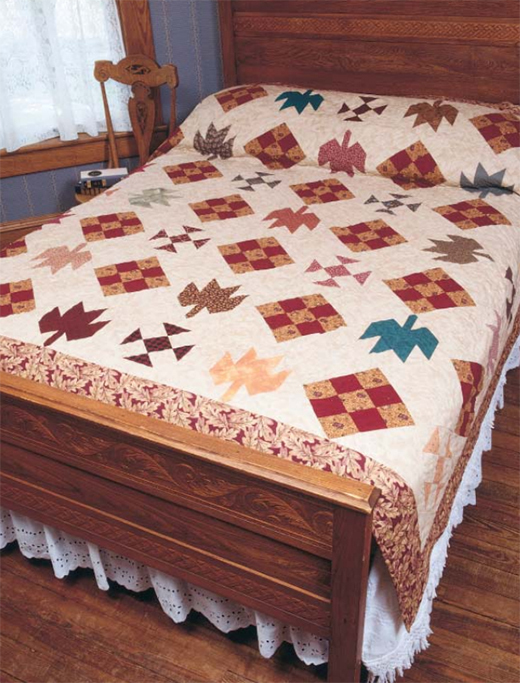 Create an autumn-theme bed quilt with this free pattern. Dig into your stash to find warm, fall-colored fabrics.